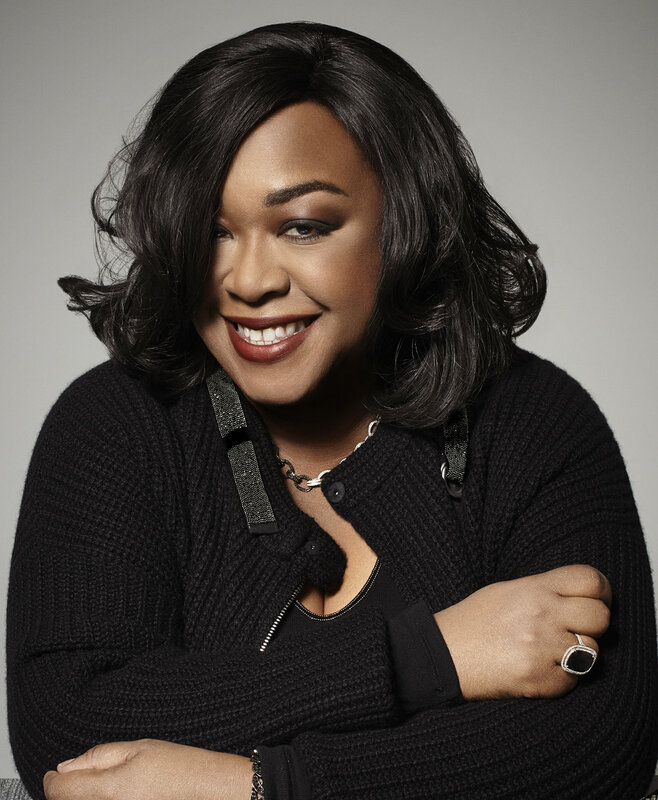 "Shonda Rhimes is an American television producer, screenwriter, and author. She is best known as the creator, head writer, executive producer - the showrunner of the television medical drama Grey's Anatomy, its spin-off Private Practice, and the political thriller series Scandal, all of which have aired on ABC. Rhimes has also served as the executive producer of the ABC television series Off the Map, How to Get Away with Murder, and The Catch. In 2007, Rhimes was named one of TIME magazine's 100 People Who Help Shape the World. 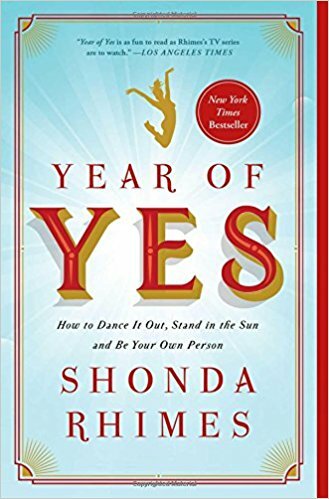 In 2015, she published her first book, a memoir, Year of Yes: How to Dance It Out, Stand in the Sun, and Be Your Own Person. In 2017 Netflix said that it had entered into a multi-year development deal with Rhimes, by which all of her future productions will be Netflix Original series. They already had purchased streaming rights to back episodes of Grey's Anatomy and Scandal. At Dartmouth College, [Rhimes] majored in English and film studies and earned her bachelor's degree in 1991. At Dartmouth, she joined the Black Underground Theater Association. She divided her time between directing and performing in student productions, and writing fiction. She also wrote for the college newspaper. After college, she relocated to San Francisco with an older sibling and worked in advertising at McCann Erickson. She subsequently moved to Los Angeles to attend the University of Southern California and study screenwriting. Ranked at the top of her USC class, Rhimes earned the Gary Rosenberg Writing Fellowship. She obtained a Master of Fine Arts degree from the USC School of Cinematic Arts. 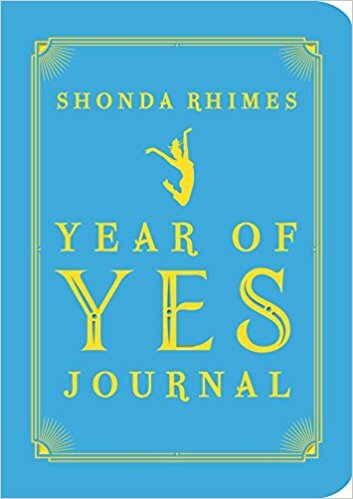 While at USC, Rhimes was hired as an intern by Debra Martin Chase. Rhimes credits her early success, in part, to mentors such as this prominent African-American producer, and she worked at Denzel Washington's company, Mundy Lane Entertainment. Chase served as a mentor to Rhimes: they worked together on The Princess Diaries 2. Rhimes is the creator and currently executive producer and head writer of Grey's Anatomy; she is the showrunner. The series debuted as a mid-season replacement on March 27, 2005. The series features the surgical staff at the fictional Seattle Grace Hospital (later to be named Grey Sloan Memorial Hospital), in Seattle, Washington. The series features an ensemble cast with Ellen Pompeo serving as titular character Meredith Grey, who provides narration for a majority of the series' episodes. On May 16, 2006, ABC announced plans to relocate Grey's Anatomy from Sunday evenings to Thursdays to anchor the network's Thursday evening programming, by airing Thursdays at 9 p.m. As of 2017, the series continues. In 2007, Rhimes created and produced the Grey's Anatomy spin-off series Private Practice, which debuted September 26, 2007, on ABC. The show chronicled the life of Dr. Addison Montgomery (Kate Walsh) as she left Seattle Grace Hospital for Los Angeles to join a private practice. The series also featured an ensemble cast, including Tim Daly, Amy Brenneman, Audra McDonald and Taye Diggs among others. The first season was shortened because of a writers' strike; it has nine episodes. In May 2012, ABC picked up Private Practice for the 2012-13 television season with 13 episodes. The series finale was aired January 22, 2013. In 2010, Rhimes created a new pilot for ABC called Inside the Box, a female-centric ensemble drama set in a Washington, D.C. network news bureau. The lead character was Catherine, an ambitious female news producer who, with her colleagues, pursued "the story" at all costs while juggling their personal animosities and crises of conscience. It was not picked up by the network. In 2011, Rhimes served as executive producer for the medical drama, Off the Map, which was created by Grey's Anatomy writer, Jenna Bans. It focused on a group of doctors who practice medicine at a remote clinic in the Amazon jungle. The series was officially cancelled by the ABC network on May 13, 2011. In December 2013, ABC ordered a pilot for a new Rhimes series, How to Get Away with Murder. Actress Viola Davis joined the cast as the lead character in February 2014. It was officially picked up to series on May 8, 2014. In March 2016, ABC premiered The Catch, a comedy-drama led by Rhimes based on a treatment by British author Kate Atkinson. It starred Mireille Enos and Peter Krause. Later that month, Scandal, How to Get Away with Murder and Grey's Anatomy were respectively picked up for their sixth, third and 13th seasons. The following year, it was announced that Scandal would conclude after its upcoming seventh season, while The Catch was cancelled after its second. On August 14, 2017, Netflix announced that it had entered into an exclusive multi-year development deal with Rhimes, under which all of her future productions will be Netflix Original series. The service already had purchased U.S. streaming rights to past episodes of Grey's Anatomy and Scandal. Chief content officer Ted Sarandos described Rhimes as being a "true Netflixer at heart", since "she loves TV and films, she cares passionately about her work, and she delivers for her audience". "[Sarandos] understood what I was looking for — the opportunity to build a vibrant new storytelling home for writers with the unique creative freedom and instantaneous global reach provided by Netflix's singular sense of innovation. The future of Shondaland at Netflix has limitless possibilities."